Me (left) and Dr. 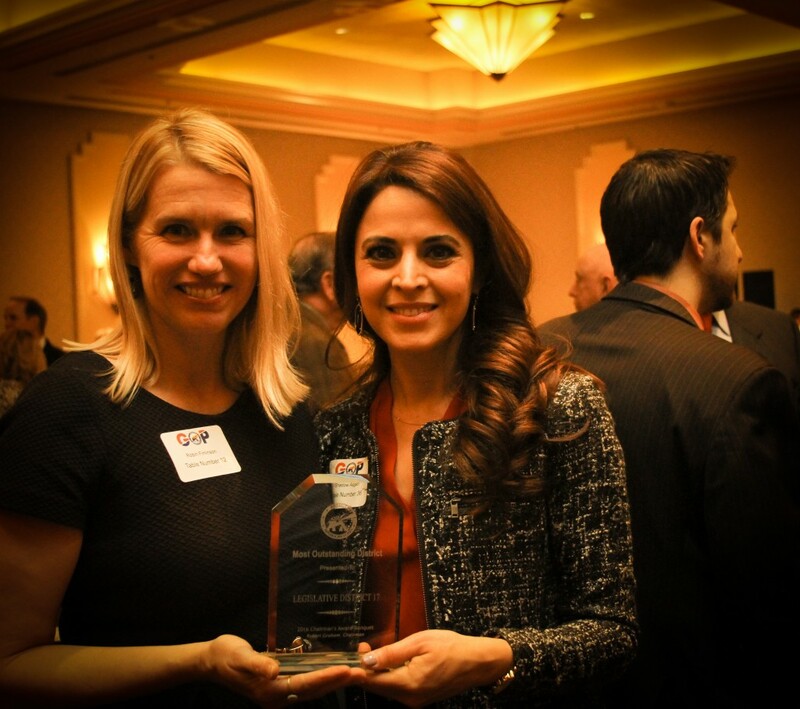 Shadow Asgari, holding the award she had just received (in January) for our Legislative District’s Republican Committee. She is the Chairman of the Executive Board, and I am the Corresponding Secretary. So many family activities lately! So many photo and writing projects! Political and community meetings galore! Lots of fun, but I’ve been so busy I actually didn’t post anything last month. I was about to fall asleep just now, but I remembered that I hadn’t posted anything this month either! I looked at the clock and saw that it’s still about 15 minutes til April. Yay! I’ll get something posted after all. In fact, I simply posted the above paragraph and then added to it the next day. Here are some of the things I’ve been up to. 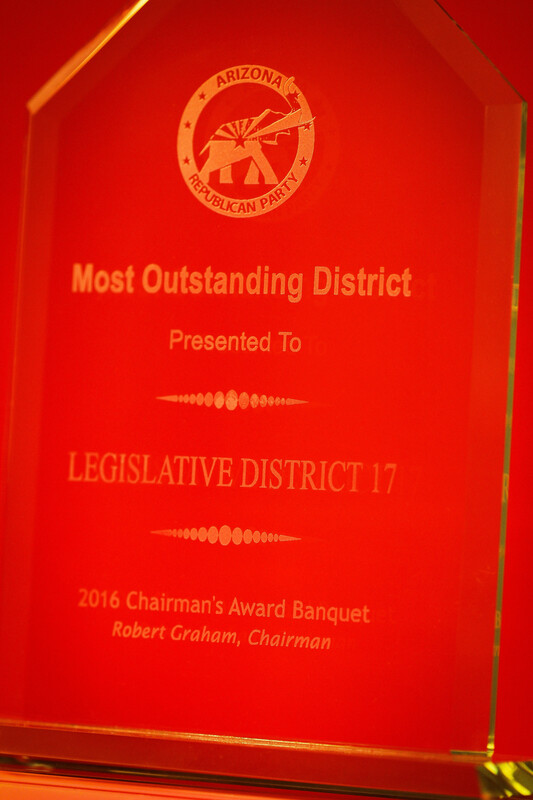 POLITICS: I would definitely say that the award for best Legislative District (see above photos) was given primarily because of Shadow’s endless hours of hard work, but the other Board members dedicate long hours of service too. As a Precinct Committeeman, I help inform the people who live in my precinct of the candidates running for office and of current ballot issues. I encourage them to vote in all the elections! 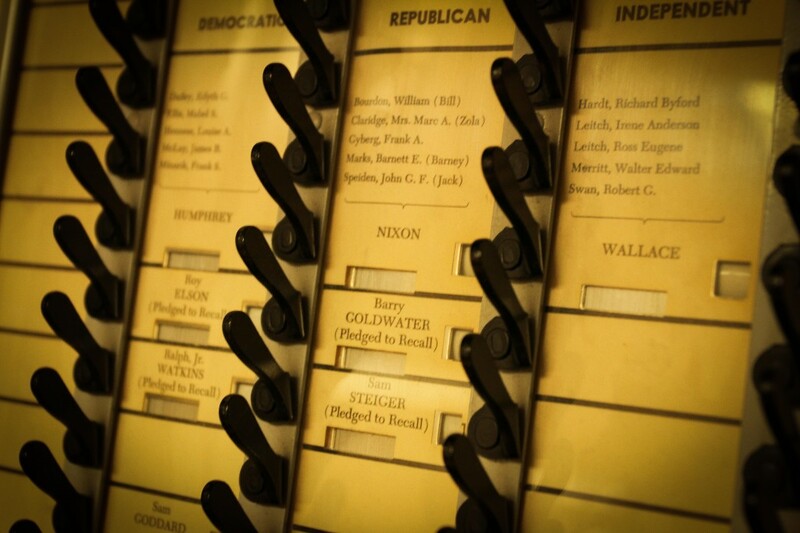 I was elected to the Executive Board by other Precinct Committeemen (PCs) within Legislative District 17 partly because I often write in local newspapers, particularly The Arizona Republic, defending Conservative principles. As the Board’s Corresponding Secretary since November of 2014, I gather information that our PCs need to know (info about upcoming meetings, events and elections, for example) and email it to them. Fortunately, Shadow emails or texts me most of the info that I need to share with everyone else. 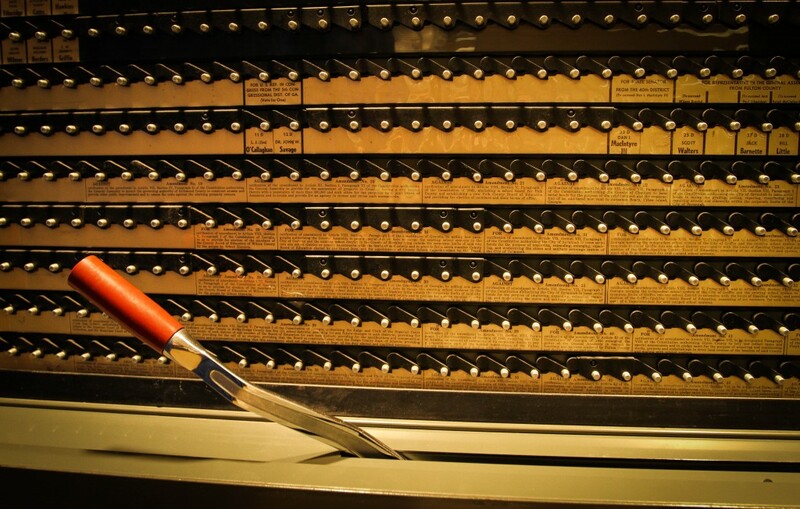 We use Constant Contact for sending emails to over 200 people. So, I take the time to make some info extra large, bold, italicized, red, blue, etc., hoping that it will be easy and quick to understand. That’s fun for me, but it can take a long time. It takes time to attach forms and flyers too. I also take photographs at many Republican events and share them on our LD’s Facebook page. As a Precinct Committeeman, I get to know the people running for local and state elected office and those who then serve the public. I encourage any citizen of the United States of America who cares about our country and their local community to get involved in that way, or to at least help with the campaign of a particular candidate or proposition that their conscience endorses. Because I also serve on my stake’s public affairs/JustServe committee, I often attend “For Our City” meetings at which leaders of the community representing various churches, businesses, non-profit service organizations, etc. get together to help figure out the best ways to solve problems in Chandler, Arizona. I’ve met wonderful people at those meetings, and decided to reach out to their organizations to hold blood drives together. 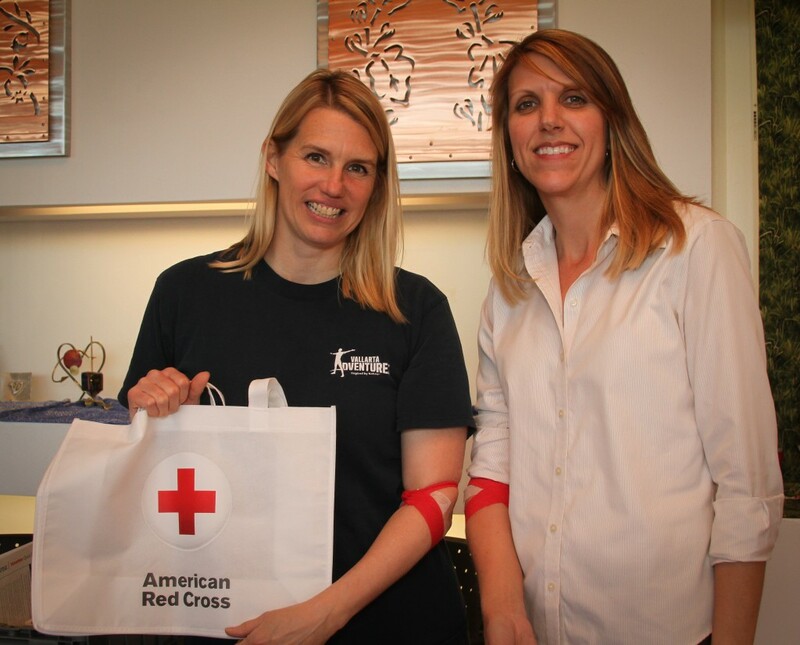 In February, I organized a blood drive and Pam (see photo below) hosted it. It was our second drive together. Latif and I have also held two drives together so far. When I told him about the February drive with Pam, he wanted to join in. All three of us gathered donors from our groups and welcomed the general blood-donating public too. It obviously doesn’t matter that we have different religious views. As people respect (and find fascinating instead of strange) our uniqueness, and embrace each other as fellow human beings, more lives can be saved. A blood transfusion is needed somewhere in the U.S. about every 2 seconds. 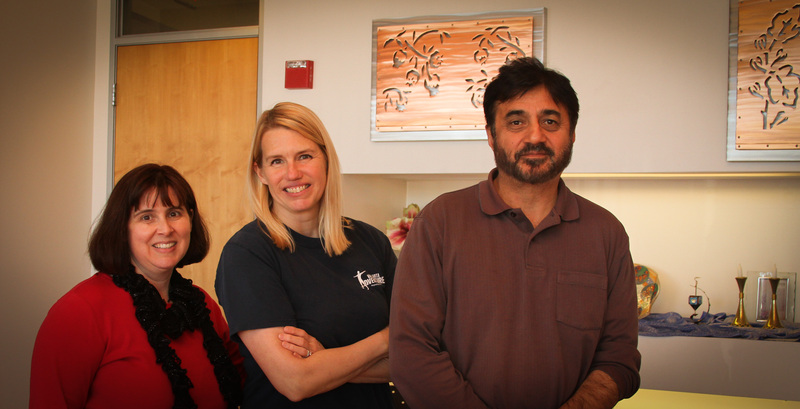 Left to right: Pam Morris of the East Valley Jewish Community Center; me, the Mormon; and Latif Ahmed of the Ahmadiyya Muslim Community. We are all blood drive coordinators for our faith groups in Chandler. I’m also a blood donor! Beside me is my friend Janet who donates too. Notice the red badge of courage on our arms. Honestly, donating doesn’t even bother me. Sure, there’s a little poke at first, but I bet you feel pain of that small magnitude almost every day. I do… a tag on a new shirt scratches my neck, or my knee hits a table… The knee hit is so much worse than the typical blood donation! If you work up the courage to overcome any anxiety you feel, you will likely find that it’s a piece of cake. About 60% of the U.S. population is eligible to give blood, and in any given year, only about 5% of those eligible actually donate. Each donation can save up to 3 lives! THE BEEHIVE NEWSPAPER: For the past year, I’ve been writing articles for The Beehive (just 1 – 3 articles every 2 – 3 months). It’s fun to interview people (and often photograph them), and tell the story of something incredible they’ve done or promote their great business. To see the articles I’ve written so far, follow the simple instructions below. Go to arizonabeehive.com. Click on the magnifying glass and search for my name (Robin Finlinson). Only some of my articles will come up. I have no idea why. So, click on one of them. Then, click on my name — right under the article’s title. All of my articles will magically appear! 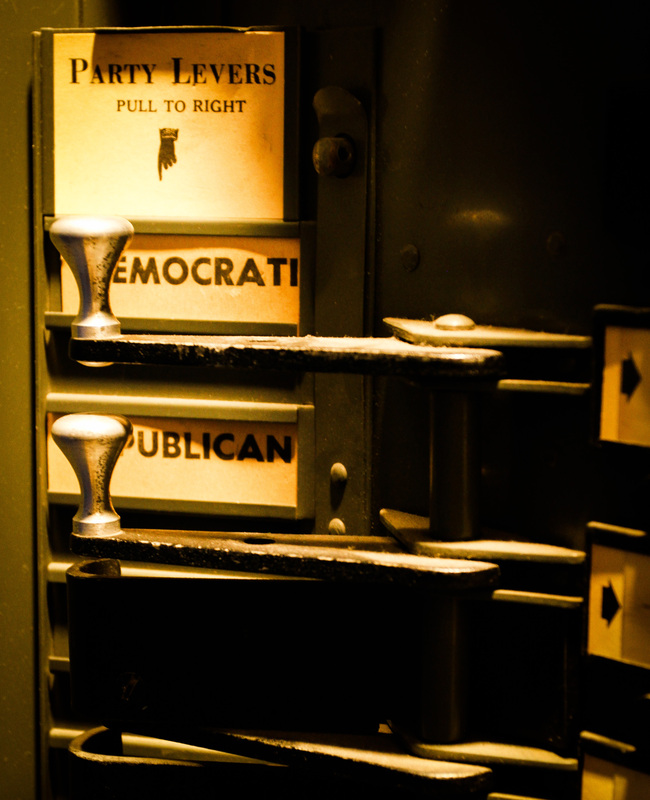 Last month, I took photos at the Maricopa County Elections Office for an article I wrote, encouraging readers to vote. 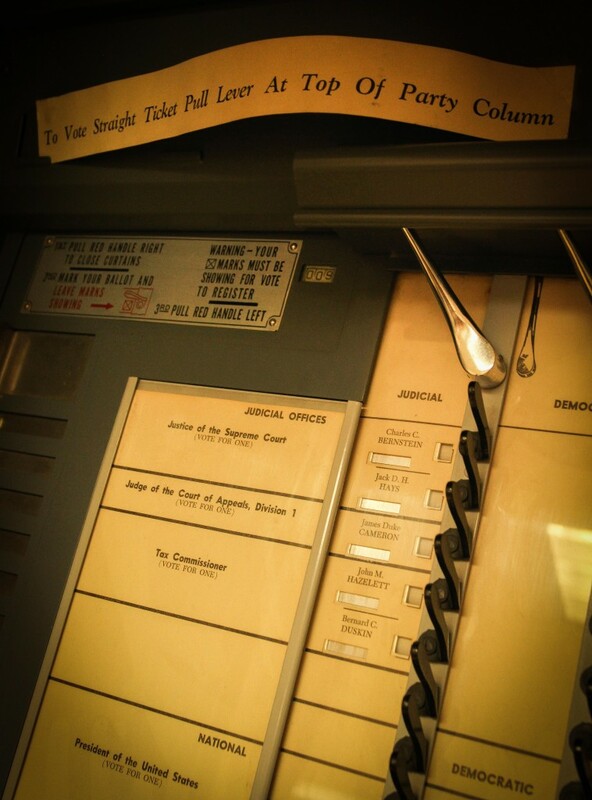 Modern and vintage voting equipment is there on display. 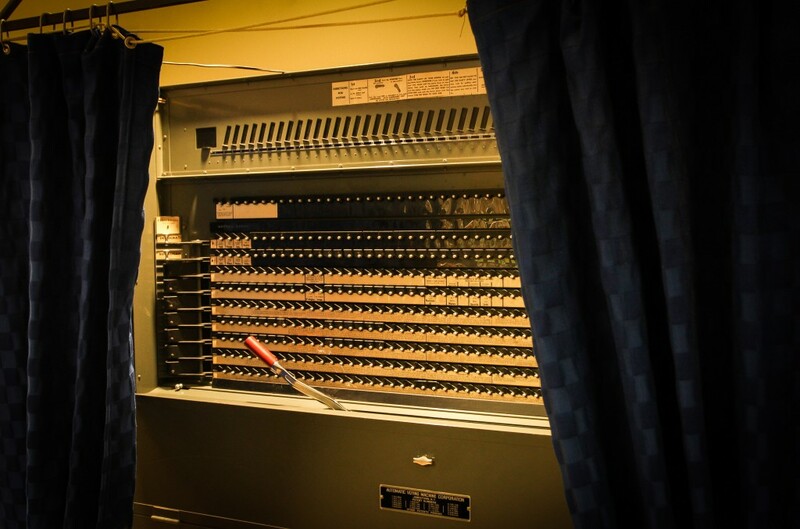 I photographed the modern election table divider and ballot machine for the newspaper. 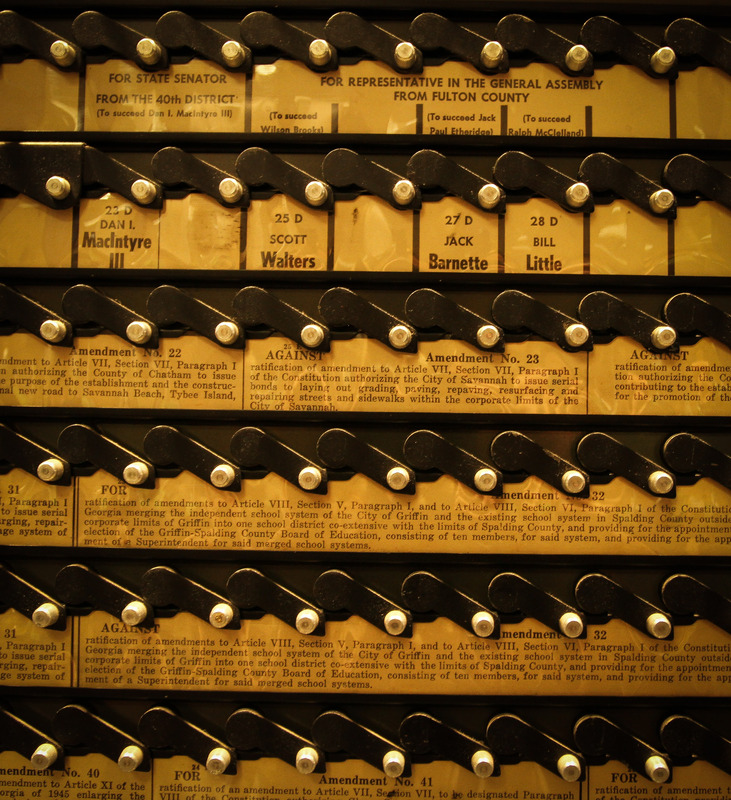 I also took several photos of the vintage machine on display. I think you’ll see why. I don’t recommend being as busy as I have been with volunteerism and work outside of one’s home. I’ve spent a lot of time photographing city, school and political events (that I don’t get paid for). Much more time after those events is spent choosing photos, then cropping them and manipulating them in Lightroom, the photofinishing software I love. I hope you will become educated about political matters and vote. The people we elect and the laws we bind ourselves to follow make enormous differences in our lives… every day. I hope you will also take some time to serve others in ways of your choosing. But try not to over-extend yourself like I have lately! Our families are our most important responsibility! If we as spouses and parents would put our family’s needs first, many of the social problems in the country would not exist at such a critical level.